Focused on providing new methods, technologies, and interactive learning solutions, SQLearn proceeds with designing and developing Virtual Reality applications, in order to transform training into a lifelike experience. 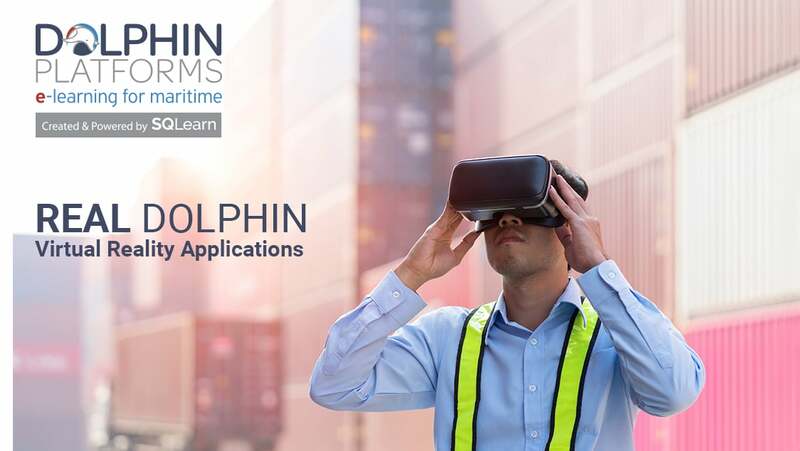 SQLearn, as part of its Dolphin Platforms, has opened up this fascinating world by creating Real Dolphin, that combines virtual reality technology with innovative e-learning resources. In particular, SQLearn developed a “Vessel Virtual Walkthrough” that allows the seafarer to become familiar with the vessel before even boarding on. The route that the user has to follow extends from the deck via the external staircase to the fourth floor where the bridge is located. The user has the ability to walk across the deck and explore the vessel’s bridge or go all the way down to the ballast tank. The trainee can investigate parts of the engine room and navigate around the main engine. Moreover, SQLearn creates interactive games with specific scenarios and goals, which are developed to address specific training situations, such as a scenario where the user has to manually start the Emergency Generator. The user, equipped with the appropriate device, a VR head-mount display and gamepad controllers, follows the instructions given in order to perform the exercise properly, leading to a unique live experience.